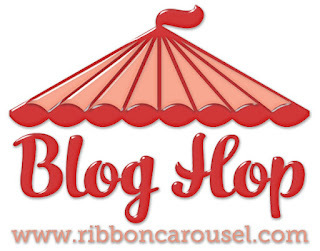 The Ribbon Carousel Crewmates are teaming up with the talented designers from Totally Stampalicious to bring you a blog hop jam packed with crafty eye candy! 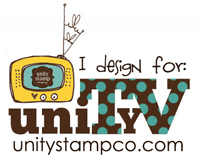 We will be helping to show off Totally Stampalicious' September release of stamps AND some ribbon and twine from the Ribbon Carousel, of course! As soon as I saw this sentiment, I knew I had to use this set!! 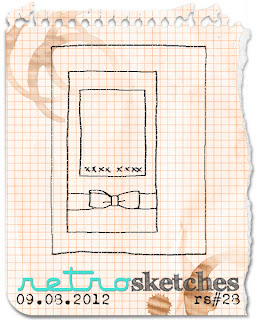 I'm entering this into the current RetroSketches Challenge, and the Moxie Fab Asymmetry Challenge. Your coloring is great and the combination of those colors with the red and navy and that fab ribbon looks really awesome. Classic, crisp and eye catching. so fun, made me giggle this morning...great color combo too! Wow, your coloring is amazing! This card is fabulous! Super cute and sassy! I cannot count the many times I've wanted to say this to people! It's a great sentiment for when a laugh is needed! Super card. We can always count on Stella to say what we would never dare to say. Love it! Great colours, too. WOW!!! 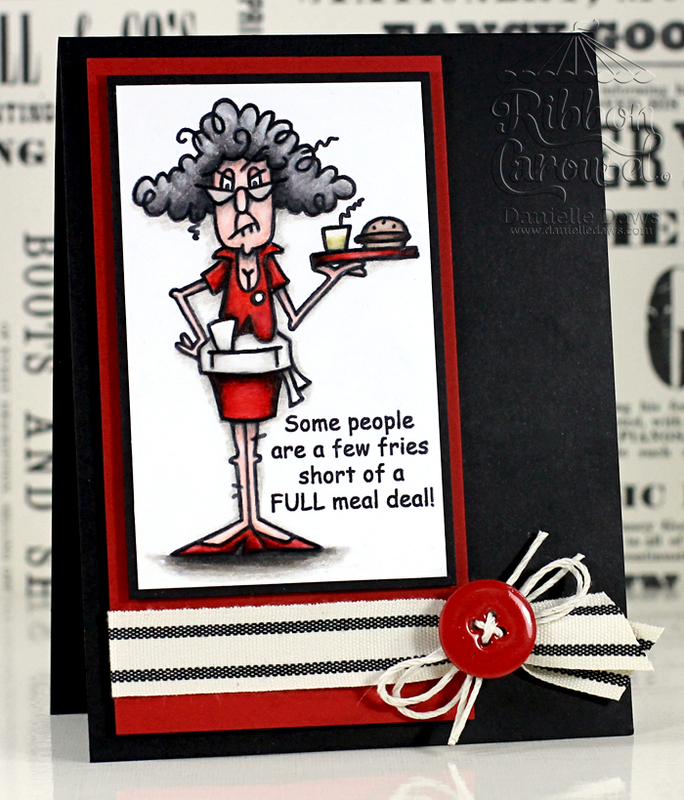 Fabulous coloring and your card layout ROCKS!!! Thanks for having the TS crew hop along with you! 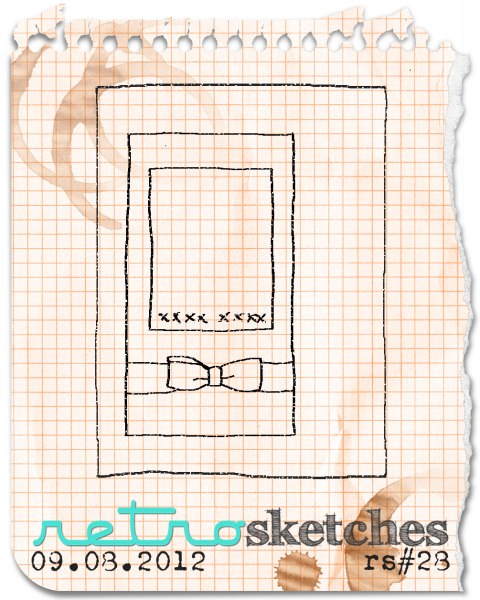 I really liked the way you did your ribbon and button. Love Stella in red! Beautiful Shading on Stella! Love this! Love the use of red and black it really stands out. your colouring is amazing...like how you went around the image with a light grey. Awesome card! I LOVE the red, white and black!! This is fantastic!!! 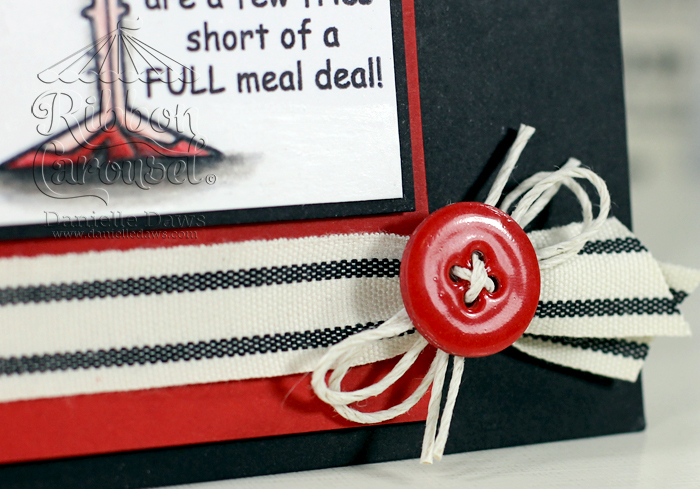 Love your color combination...great coloring job as well...The ribbon with the red button and baker's twine really pops! too cool! love the old 50s diner colors! Stella looks fabulous, love that ribbon too! ribbon looks great with that stamp!! Love the card and the layout of it! Stella is just cheeky enough to say the things we all think at times...Love her! Love it! 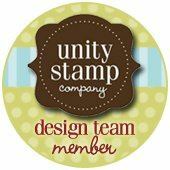 So many great ribbons to go with adorable stamps! Haha....that sentiment made me laugh! Great card. This is one of my FAVS!!! The sentiment is something I don't think I would be able to control having to use right away myself. Thank you so much for sharing & putting a smile on my face. I love this image, we all must of! ;) And the sentiment is so perfect!! Great job on the card!! Wonderful card. love the black and red it sure makes your image pop. Awesome card, love the black and red, nice image...fun stuff! Hilarious! I can see why you 'had to have it'! Love how you used the ribbon, super cute card! Thank you!